Firstly congratulations on your stunning victory last weekend. It was great to see not only an English team win the European Champions cup, but also to see a team that has almost become a force of nature in full flow. You thoroughly deserved the win, and the fact that it was a double makes it even more impressive. And that leads me to the point of this missive. Enjoy it. You are clearly one of the best teams in the world right now, you are accumulating silverware at a quite terrifying rate and it is well deserved. Your players are great, and they play together as a team so well that they all look even better than they would anywhere else. Don’t let anyone tell you you don’t deserve the plaudits you are getting. You really do. But be aware that it is unlikely to last forever. Ten years ago we were where you are now. Celebrating yet more silverware, and feeling that it was ours by right. In some ways it was, but in the same way the rapid slide to the bottom of the table, to be saved from relegation by a tackle from a man reknowned for never tacking was ours by right. That is just the way rugby is. Some people, fans of other teams, learned to hate us back then when we were at the top. For some reason that seems to be the way of things. I’m guessing you have noticed that. People run your team down for being successful, and you down for supporting them. For some folk that will never change. Some people still hate Wasps and for no reason other than we beat them 10 years ago. You’re also bearing the brunt of the salary cap debacle. Whatever you think of that, whether you believe your team was guilty or not it isn’t going to go away. It just becomes part of who you are. Much like Quins and “Bloodgate” and us with our uncontested scrums. It isn’t fun, but it is part of the team identity. But that is what being a rugby fan is all about, taking the rough with the smooth, experiencing the heartache of the lows, and the joy of the highs, as well as the guilt of knowing that perhaps your team weren’t as innocent as you’d want them to be. So enjoy it, try to ignore the odd glitch along the way. You had the Valentine’s Day massacre last year (still one of my favourite all time games), but find any long term Wasps’ fan and watch their face when you say “Pertemps Bees” and you’ll know that you’re not alone in having the odd unexpected failure when you are otherwise on the top of the world. I have no idea whether you will stay at the top of years, or whether this is the beginning of the end for you, but either way I hope that we’ll see you in the finals at Twickenham and that we spoil your party, just like we did for Leicester all those years ago. Domestic rugby is in a great place right now, and that is due, at least in part, to you. We wouldn’t have been able to have the resurgence we have had if it wasn’t for you. Well done for winning yet another cup, and hopefully see you in a few weeks. 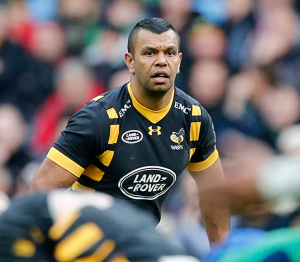 Kurtley Beale – Once a Wasp? Kurtley Beale is regarded as one of the best players in the world, and despite his recent injury that could easily have ended his career, it is easy to see why. He manages to do incredible things on the rugby pitch. Not just the lines he picks, the spaces he sees, but also the way he uses the ball and does things no-one else would consider.  It is this very ability that set up Wasps first try against Bristol this weekend. Simpson lifts the ball quickly from a ruck and passes it straight to Kurtley Beale. Beale takes a fraction of a second to look, and makes the decision to run. He can see he has support if he needs it, Phil Swainston is the next man in the line, and so if Beale goes down he knows he has a prop with him to prevent the turnover. He drops his weight and runs an intersecting line towards the Bristol defence. Bristol however have got their confidence up after scoring earlier, and know the threat Kurtley Beale presents so double tackle him. And this is where the magic happens. Beale can clearly see he is not going to make it through the line this time, and so decided to offload. Somehow he manages to pop an arm out of the mass of limbs surrounding him and without dropping the ball flicks it perfectly into Swainston’s hands. Swainston spins, and offloads the ball to Bassett exactly as a forward should – back to the tackle, both hands on the ball, and the rest is history. Lets look at it again from a different angle. It’s even more impressive from the front. There is no way anyone whould have the freedom to move the ball around that Beale somehow creates. And it is exactly this ability that caused the first try for Bristol against us. When George Smith was with Wasps he not only played brilliantly well, but he also changed the way Wasps played. He lead both by example, and by directly showing other players how to do the things he did. It revolutionized our game, and in particular catapulted Thomas Young from being a promising benchwarmer, to a genuine international contender. Kurtley Beale has done exactly the same thing. But instead of the rest of the squad picking up on the judgement and wiley cunning of Smith, they are picking up on the astonishing ball skills of Beale. The problem with that, is that if it goes wrong, it tends to go wrong much more spectacularly than just failing to get a turnover. Let’s look at that Bristol try again. Joe Launchbury sees the ball is free and snatches it up. This is one of the things he does better than anyone else in the world. He seems to simply know by instinct where the ball is and whether he is allowed to take it. Whether it is in the ruck, defending a maul, or in open play like this. He spins, and sets off down the field. The turnover is won and Wasps are on the charge, however when he is tackled, instead of going down and recycling the ball he does a “Beale”. He spins, and offloads it with one hand to Simpson. It isn’t a pretty pass, and it’s certainly not up their with Beale’s offloads, but it works. Simpson passes it immediately to Thompson who is recently back from injury and not only playing very well, but also fighting for his starting place. He makes some ground before running into the Bristol defence that is starting to creak. Instead of taking the contact and trusting that his teammates will recycle the ball quickly he too attempts a “Beale”. But this time it doesn’t quite go according to plan. A Bristol player gets a hand to it, somehow manages to avoid being penalised for a definite knock on, and the try is scored. I have no doubt that Kurtley Beale would have managed the offload, but I also have little doubt that the ball would never had got to Thompson if Launchbury hadn’t also been influenced by Beale in training and on the match field. It is clear that having a player of Beale’s quality changes the way the team plays. It inspires people, and lets them see what is possible. And it is this very style of play, that pushes the boundaries of what is possible on the field that makes Wasps such an amazing team to watch. I have no doubt that Beale’s presence has not only lifted the team by his skill on the pitch, but also by lifting the skills of every single player in the squad. That is why he is worth every penny Wasps have spent on getting him here, and it is why Wasps are still top of the table with only a few games to play. Sadly its also why sometimes players do things that seem silly to those of us sitting and watching. But let’s just say that Thompson’s crazy one handed offload had worked. He had Bassett, Daly, and leRoux on his shoulder, with only one defender to beat. It would have been the sort of try that would have been in his highlight reel for the rest of his career. So keep trying the one handed offloads, the bizarre running angles, and the dainty chips that fail as often as they succeed. Because they are what make us special. And long after Kurtley Beale has left, his legacy will remain in the way we play. James Haskell has come in for a lot of stick recently after Romain Poite’s snarky reply to him during last weekend’s International against Italy. I think not only is ti completely unjustified criticism, but he should be being lauded for his actions, not slated. Unless you’ve spent the last week living in a cave you no doubt know that Italy, under their head coach O’Shea played a very unusual tactic. They refused to commit players to tackle when England had the ball, and by doing so did not create a ruck. The consequence of this was that there was no off-side line and so the Italian players could legally walk around the tackle and disrupt the patterns of the English team. Whether you think this was a travesty of rugby, or an inspired bit of tactical play by a wiley coach is irrelevant. It was clearly legal, and was equally clearly causing England some serious problems. What was also obvious was that there had been some sort of discussion beforehand between Italy and Poite. At no point did he look like he even considered penalising the Italian players, and was clearly on the same page as them in their desire to upset the apple cart. It was revealed after the game that there had indeed been a discussion where the tactic was explained and Poite agreed it would be legal if certain criteria were followed. At no point was the England squad party to these discussions. And so, during the match, when the tactic was in full flow, and Poite was happily letting the Azzuri disrupt the game England were not just on the back foot, but there were playing catch up. The laws are clear, and I have no doubt that every player on the field understood them, what they did know however was how Poite was enforcing those laws and what criteria he was using to make the distinction between a tackle (no off-side line) and a ruck (a very clear off-side line). The only possible way to find that out was to ask him directly. And that is exactly what James Haskell did. He might not have asked in the most efficient way, but he was clearly confused by the way the match was going, and he was very frustrated that what he saw as illegal infringement was being called as legal by the referee. He asked Poite to clarify exactly what the law was. Instead of answering his question Poite took it upon himself to make a sarcastic remark in reply. I don’t think anyone should need to remind him that during the game he is the sole arbiter of what is legal and what is not. And part of his job is to communicate that to the players. It is done at set pieces, it is done when one team is under pressure and repeatedly infringing, it is usually done at the breakdown. But not this time. The conversation went on with James Haskell attempting to get clarification of how close a player had to be to be considered part of a ruck, and whether he could simply drag on Italian player into the tackle to create a ruck. Eventually Poite answered his questions, and the second both sides had the same information the tide turned. There is more to it that this. Haskell did exactly what you would expect of an experienced professional rugby player in a frustrating situation. He didn’t take matters into his own hands, he asked for detailed clarification. And when he didn’t get it he asked again until he did. The most striking thing to me, second only to Poite’s seeming delight in pulling one over the England team, was that it was James Haskell that did the asking. Haskell isn’t the captain. He isn’t even one of the vice-captains. He is simply a back rower who has recently returned from injury, that many people say shouldn’t be in the team at all. The actual captain was standing next to him, his mouth shut, not contributing anything at all. And so this is why I think all England fans should be celebrating James Haskell’s behaviour last weekend. He saw a problem, he saw that the “leaders” weren’t sorting it, and he did everything in his power to resolve the situation without risking infringing the laws himself. To my mind he put his had up for the captaincy of the team. Hartley has not been on form recently, and it is supposedly for his leadership he is being retained. Last week he didn’t show any of that at all when it really mattered. Wasps’ unbeaten run in the premiership came to an end yesterday at the AJ Bell Stadium against Sale Sharks with a 34-28 victory to the home team. Wasps’ losing bonus point extended their lead at the top of the table to six points over second place Saracens who have lost their last two matches, but Sale continued their march to the top half of the table. I’m not going to waste any time in the article bemoaning the missed clearly forward passes, because they were missed for both teams. I’d simply like to take a detailed look at Denny Solomona’s first try, and explain how it was expertly worked by a team that had clearly done their homework. First let’s look at it in full. You can see the ball is taken cleanly from the lineout and a ruck is formed further in-field. This slightly increases the pressure on the questionable Wasps’ defence. It could easily be passed in either direction meaning that the defensive line has to set in both directions. However that isn’t what is done. Sale take advantage of the fact that Wasps tend not to compete aggressively at the breakdown and get the ball out quickly. Solomona picks the ball up, runs straight through the middle, and runs is for a simple touch down underneath the posts. At first view it seems that Sale have simply taken advantage of a gap in the defensive line and scored an opportunistic try. I don’t think that is the case, and I’d like to explain exactly why I think this was a beautifuly worked try that had probably been practiced time and time again on the training field. Ioane, the sale flanker runs hard into contact. The combination of his sheer power, the proximity of the try line, and the new laws regarding high tackles mean it takes two defensive players to bring him down. Sale’s 10, 12, and 7 all drive right over the ruck giving quick ball, and this is where it starts to get very interesting. Lund positions himself over the ruck as you would expect of any decent forward. However Jennings (12) and James (10) step through and stop. 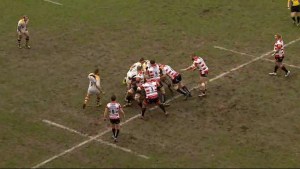 As they do this you can see Thomas Young of Wasps rolling clear and attempting to re-join the defensive line. Mike Phillips runs into the ruck and directly into the back of Young. This is a pretty common tactic and is often used to try to get an obstruction call from the ref. If the defensive player doesn’t get out of the way and blocks te play it is a clear foul, so Young runs forward. However instead of going for the ball Phillips sticks with Young and pushes him to the side. Not hard, but enough for him to have to take a step, which he does. This not only creates a small amount of space for Solomona to run directly through, but also puts Young directly inbetween Solomona who has the ball, and Ashley Johnson who is now unable to make the tackle. The two collide, Young falls to the floor and Johnson is stopped dead in his tracks. Jennings and James have both also stopped, and almost coincidentally are right in-between Solomona and Mullen leaving him with a simple run in. Let’s look at the play in slow motion and see it all unfold in it’s true glory. It was a really good example of the kind of play that Wasps are vulnerable to because of the way they focus on searching for the attacking opportunity all the time, and in doing so can sometimes leave themselves spread a little wide. A team with heavy hitting players who are keeping the ball in the centre and playing for fast ball can create these opportunites. Especially when Wasps are missing Haskell, Hughes, Launchbury, Jones, and Thompson. You could argue that what Sale did was technically against the letter of the law, but it is no worse than any other team does. And Wasps do it as much as anyone else if not more when our hard hitting forwards aren’t away or injured. Individually Young, Reider, and Johnson are all perfectly capable of holding their own at the very top level (to the great credit of Alex Reider who has no right to be as good as he is after the short amount of time he’s been with us). But as a combination they are perhaps a little light. Perhaps a little lacking in the aggressive edge that is proving such a positive influence on the current England set-up. Either way, Sale played a great game, thoroughly deserved the result and hopefully showed us exactly what we need to be working on if we are to put in a serious challenge for some silverware this season. Danny Cipriani, the current Wasps Fly Half is one of the greatest talents to ever set foot on a rugby pitch. That doesn’t mean he is the perfect fly half, far from it. But he does things no-one else could do. His ability to create space where there wasn’t any, his ability to put his back-line through gaps is second to none. But there are a couple of problems. The first is that he has an almost inevitable habit of messing up in a big way. Only once or twice a game, but no-one is surprised when he is charged down, or he kicks the ball straight into the back of one of his own players. Usually when we’re either about to score, or frantically defending. But these are just different aspects of the same thing. He is constantly pushing at the boundaries of what is possible, and sometimes his vision exceeds his ability. The second issue is his kicking from the tee. It’s just not great. Don’t get me wrong it’s not terrible, but it’s not as metronomic as a team at the top of the Aviva Premiership and in the Quarter Finals of the European Champions Cup would like it to be. And that’s OK, because Danny Cipriani is not the only 10 we have. Jimmy Gopperth is probably one of the most popular players in the team right now. H clearly doesn’t have Danny Cipriani’s flair, but he is everything Danny isn’t. Gopperth is a hard running, utterly fearless player. And his kicking is right up there with the best in the world at the moment. So Wasps have played their very best with Danny Cipriani pulling the strings at 10, and Jimmy Gopperth running off him at 12 whilst also taking on the kicking duties. After all who said the fly half had to take all the kicks? But that in itself presents us with a bit of a problem. If we are playing both of our dedicated 10s at the same time we have effectively removed the option to play a flashy creative back at 12. And if – heaven forbid – one of our 10s finds themselves injured we are suddenly scrambling to put together a good team that is playing where they are familiar. However there is another option. We have another option. I don’t mean Rob Miller, even though he showed some real class when he stepped up at the last minute to cover for Danny when he was ill, I mean one of the most creative and visionary backs in the world today. Kurtley Beale. I know it would seem that Dai Young sees him in the back three, or possibly even in the centre. But Beale is perfectly capable of playing fly half. And putting him in the 10 shirt not only allows us to rest Danny from time to time without losing any of the vision. But it also allows us to bring one of the centres who aren’t getting much game time back onto the field. Alapati Leiua may well be leaving us at the end of the season, but there is no doubt that before his horrific run of injuries he was one of the form backs in the world. He’d turned down the All Blacks to play for his home nation of Samoa, and was setting the Southern Hemisphere alight with a fast, elusive running style that would fit perfectly into the current Wasps set up. I’d dearly love to see him running his hard lines off Beale. And of course if Beale moves forward to 10 that frees up the full back position for Willie le Roux, who, if the rumours are to be believed is the fastest player we have. Already outpacing our lighting back line in training leaving Wade and Simpson in his dust.